A view, probably from St Peter’s Church, looking towards the Lewes Road, and said to date from 1935. 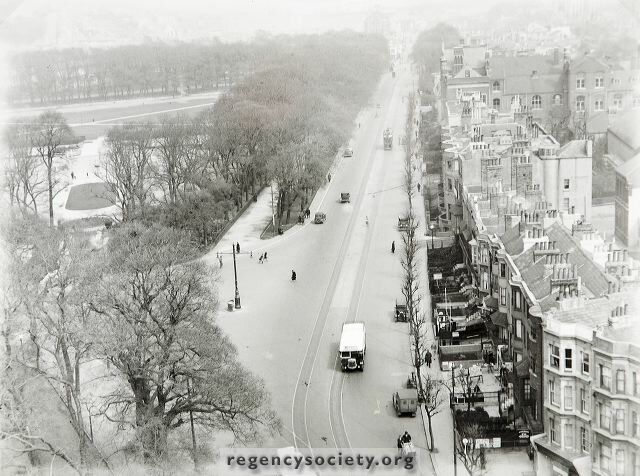 It shows the full length of Waterloo Place (now demolished), the entrance to Phoenix Place, Richmond Terrace, the grounds of Hanover Terrace and the Level, with a tram going south to the Old Steine Terminus. What pleasure motoring must have been, with no parking problems.